The rich history of Manipur is well-preserved in its many museums that promise a memorable tour back into the past. Manipur has been an important ground during World War II and the freedom struggle along with being culturally and traditionally affluent destination in Northeast India. Today, the museums in Manipur offer us a chance to relive the history in the form of paintings, photographs, armours, pottery, jewellery and plenty of other things. 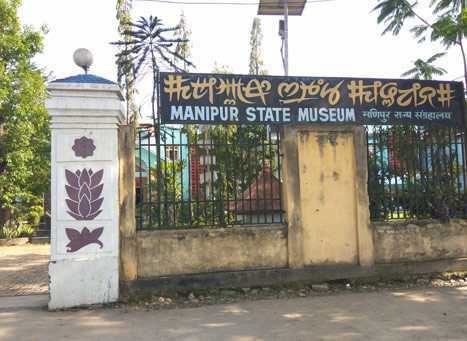 Amongst the most popular museums in Manipur are the INA Museum which displays wartime pictures and relics and Manipur State Museum that exhibit state’s heritage and a collection of portraits of state’s former rulers along with costumes, arms and weapons, relics and historical documents. Manipur also has an archaeological museum - Sekta Archaeological Living Museum which can also be dubbed historical hotspot of the state where one has the opportunity to witness uncommon human skulls, ornaments, pottery, metal equipment and semi-precious stones belonging to the erstwhile period. The RKCS Museum in Imphal boasts a collection of over 10,000 paintings on varied subjects, including mythology, history, and culture. Whereas Manipur Science Museum in Imphal exhibits various galleries on ethnology, archeology, natural history, painting, jallan, and children's gallery. The state also houses a tribal museum that gives visitors a thorough insight on art and culture of the tribes in Manipur. Apart from these, the People’s Museum in Thoubal and Three Mothers Art Gallery in Imphal is a must visit museums when visiting the state.